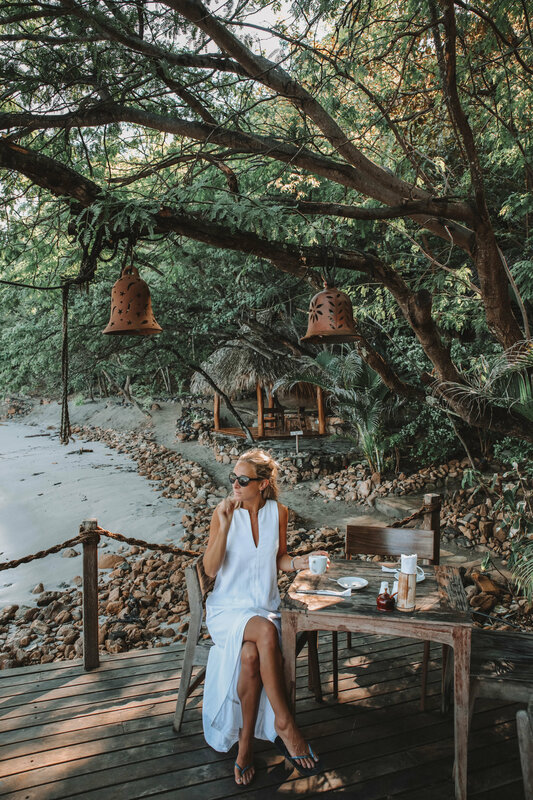 We arrived in beautiful Nicaragua a couple of days ago, where we flew into Managua airport picked up a little rental car, and drove for 2 hours south towards the Pacific coast, to a beautiful eco-hotel built in the forest called Aqua Wellness. Unfortunately we got to the resort quite late, so couldn't see much as we were walking through, although we new the ocean was close, as you can hear the tranquil waves crashing. Although it would have been lovley to of arrive in the sunshine, I felt this really added to the full impact I received once I opened the curtains in the morning. I was truly blown away to see I was standing in a Tree House and fully immersed in nature with the most spectacular views of the ocean in front of me. 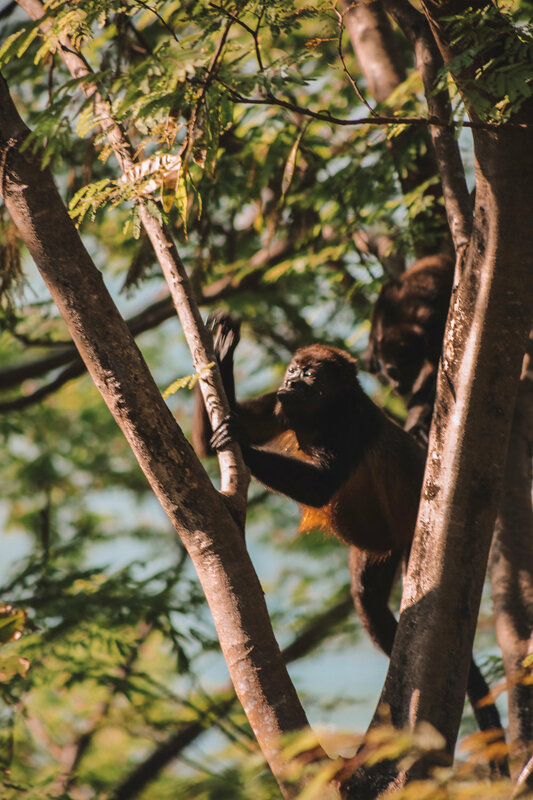 On top of that welcome, we spotted a family of howler monkeys in the trees having breakfast by our balcony! Our villa, called Kinkajou LS (luxury suite) had two levels, the downstairs had a kitchen, dining area and lounge area. Upstairs there was a bedroom, with an open en-suite bathroom and separate toilet. Joining onto the bedroom area was a balcony that looked over our private deck and plunge pool with a spectacular view of the ocean. eI'm not going to lie, when I say I was slightly apprehensive about the food in Nicaragua prior to visiting, as I was told very mixed things. However, the food at Aqua was divine! We indulged ourselves in a healthy morning breakfast a light lunch and a massive dinner on a daily basis! The restaurant is built up platform which sits along a the stretch of private beach, and has to be one of the dreamiest settings for a meal. 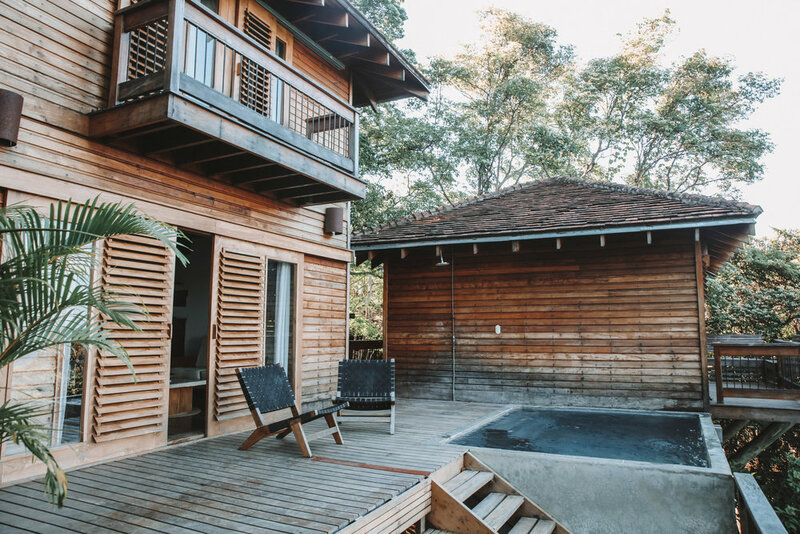 This environmentally friendly resort was built above the forest floor, to minimize the resort’s impact on the delicate ecosystem of the jungle forest set around, every tree house has been built from locally sourced wood. Aqua Wellness is where you would come to focus on your well being, it fully caters for all your needs. With free yoga and meditation classes on offer twice a day, it allows yourself to strip away all problems sending you into deep relaxation mode. We absolutely LOVED our time at Aqua and it was the perfect location to start off our trip in Nicaragua. Thank you for having us!